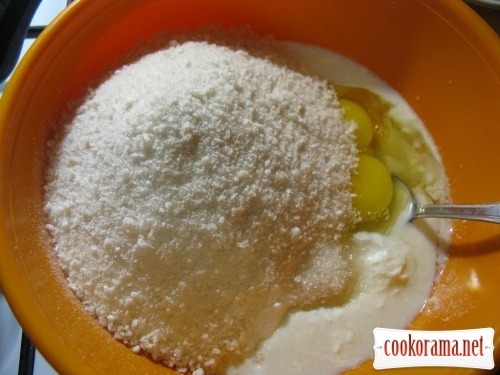 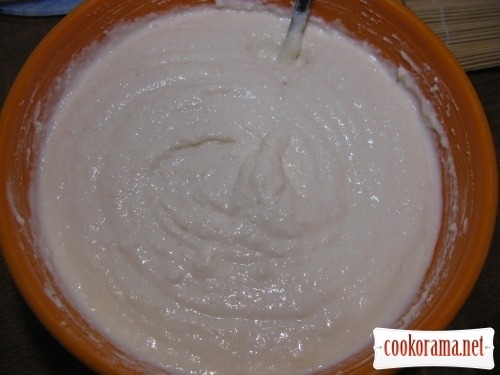 Combine all the ingredients for dough and mix well into smooth mass. 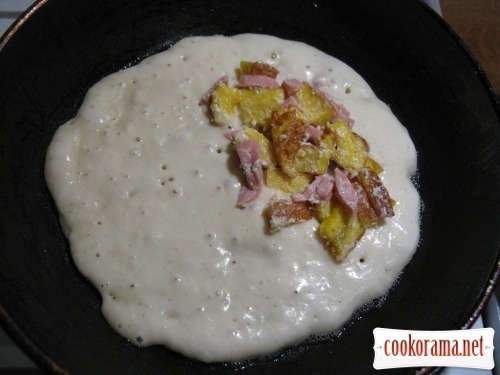 Heat the pan well, pour dough, like twice more than for pancakes. 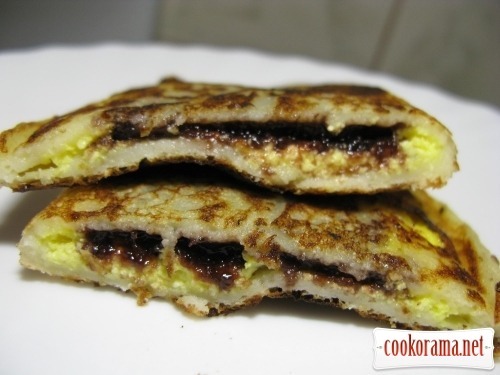 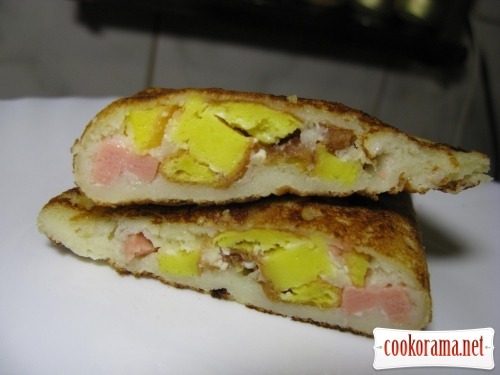 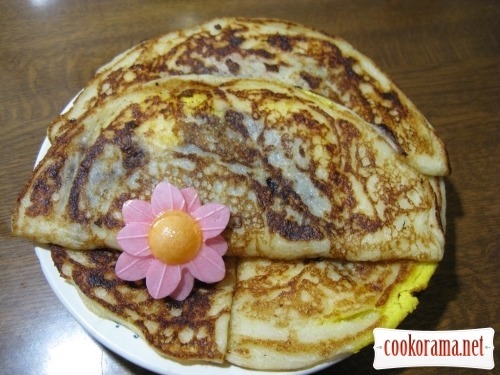 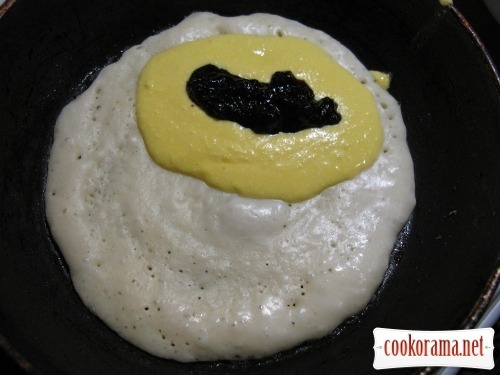 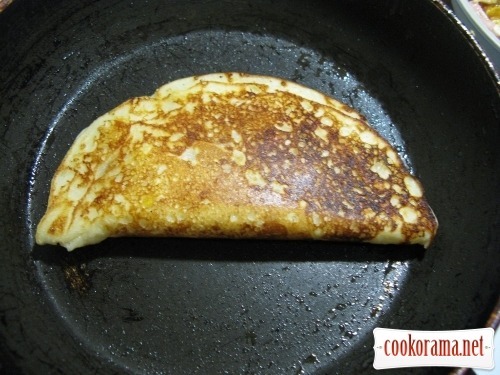 Let our pancake brown a bit and wrap spare side with help of spatula. 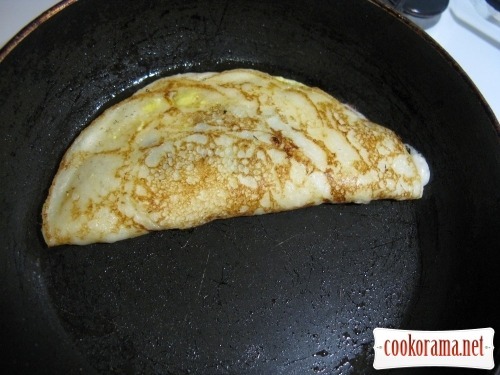 Carefully press the edges with spatula, cook for a few seconds and turn to the other side, you can cook it covered with lid, but not necessary. 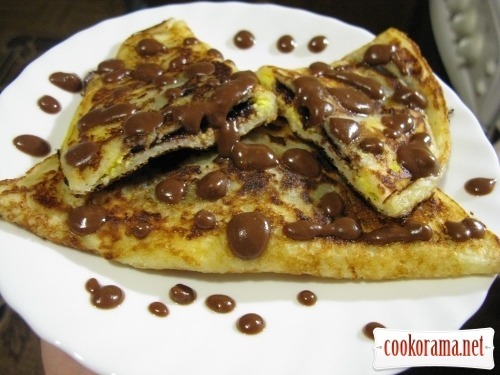 I pour sweet variant with chocolate or condensed milk. 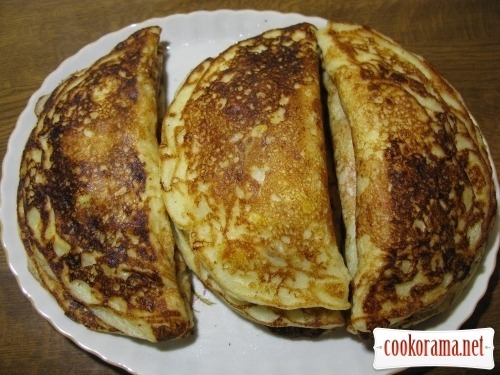 Top of recipe "Unusual "chebureks" from pancakes, any filling"
Здорово, очень вкусно и легко!